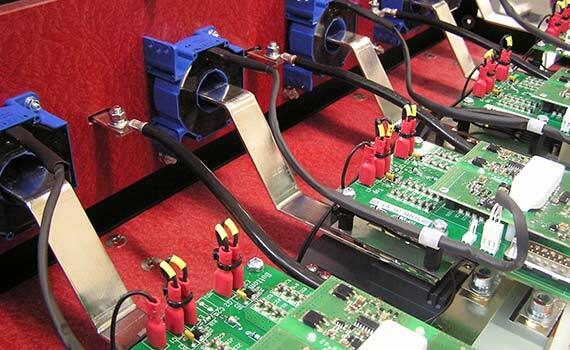 We focus on providing a flexible, high quality CEM service for lower volume custom power electronic products. Ranging from low power (1kW) PCB based products, through to high power cabinet systems capable of powers in excess of 1MW and anywhere in between. Most of the products we manufacture have been designed for our customers in-house, however we are equally set up for manufacturing existing designs as a build to print service. 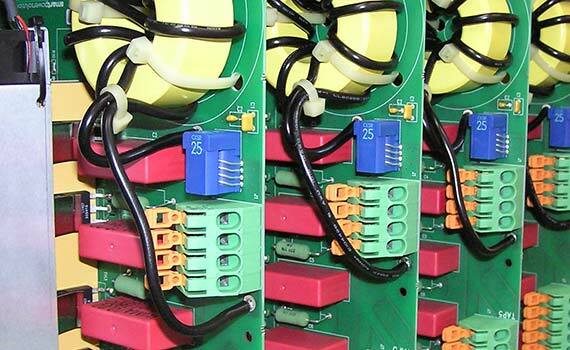 We are able to build, test and supply products from PCB level, through sub assembly/power stacks, to full systems and are versatile enough to offer product build from bespoke 1 or 2 off prototype quantities, through to full low volume production. We have a well established network of suppliers for both standard and custom components, and can adapt quickly to supply issues to avoid impacting final delivery. 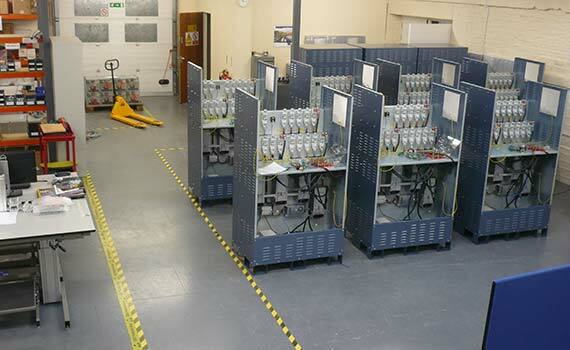 Having worked in the power supply and motor drives sector at all power levels, our staff have accumulated many years experience in producing high quality and robust power products. 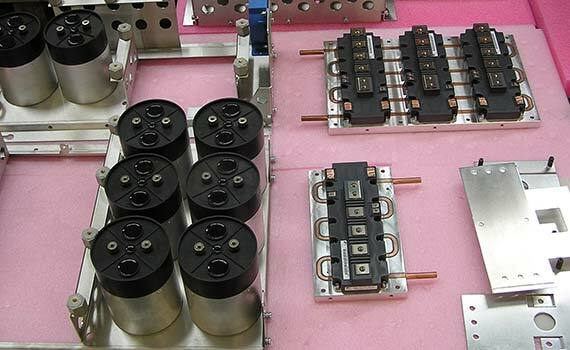 They have a high level of understanding of correct power silicon mounting methods, heatsink surface finish requirements, different thermal interface materials (preparation, handling, application and curing where necessary) correct contact pressure and torque settings. Smart Power Solutions manufacturing capability ranges from low power consumer/appliance power systems using TO 220 discrete devices or small integrated power modules, PCB mounted power magnetics, snap in capacitors and control in the 1kW power region through to large power distribution systems constructed from custom power modules, fluid or air cooled heatsinks, large magnetics, laminated bus bars, switch gear and panel wiring. 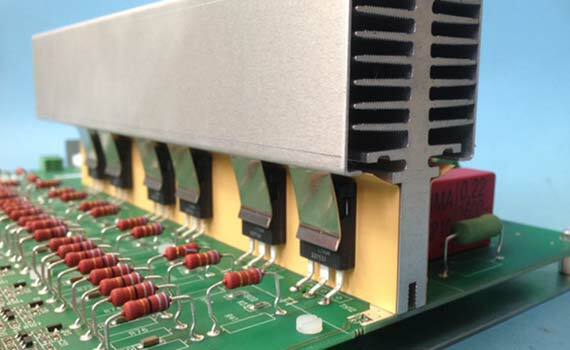 The assembly and test processes developed at Smart Power Solutions are equally adaptable to small individual sub assemblies and power stack building blocks as well as full system integration. We have the capability to test and burn in individual power stacks and can supply these as a sub assembly for integration into your final system if required, alternatively we can manufacture and test the entire system for you. While our manufacturing services compliment our custom engineering services, presenting a complete solution from initial concept, through development to product supply, we are equally happy to manufacture and supply your existing products as a primary or secondary source. If you are looking for an alternative supplier or require extra manufacturing capacity for your existing products contact us to discuss your requirements. We have close ties and a good relationship with a selection of key suppliers as well as direct contact with a number of component manufacturers. This relationship not only ensures competitive pricing but also enables us to preempt supply issues and find alternative sources quickly and cost effectively, minimising delays to production. We are also happy to manufacture using free issued parts if that is preferred.